Dental laboratory India,dental lab,dental laboratory technicians,advanced dental technologies. Mr. Danesh Vazifdar is the owner of a commercial Dental Laboratory in Mumbai under the name of ADARO DENTAL LABORATORY, which specializes in Crown Bridge and Implant Dentistry fabricating prosthesis in Metal ceramics as well as Metal Free ceramics including state of the art CAD CAM Ceramics. 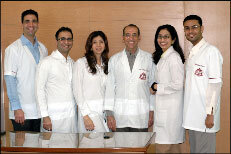 He is a faculty member in Dr TURNERS' SPECIALITY DENTAL CENTRE – CDE COURSES. Trained on Crown and Bridge Waxing Techniques thru Schuler Dental, Germany 2002. •A B Shetty College Of Dental Sciences Manglore.